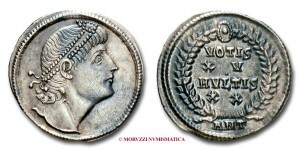 Derived from Greek (literally, ‘the inhabited one’), “ecumenical” means “worldwide” but generally is assumed to be limited to the known inhabited Earth, and at this time in history is synonymous with the Roman Empire; the earliest extant uses of the term for a council are Eusebius’ Life of Constantine which states “he convoked an Ecumenical Council“, and the Letter in 382 to Pope Damasus I and the Latin bishops from the First Council of Constantinople. 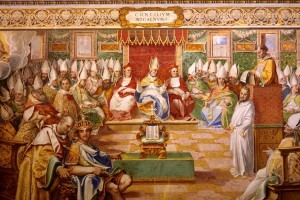 One purpose of the council was to resolve disagreements arising from within the Church of Alexandria over the nature of the Son in his relationship to the Father: in particular, whether the Son had been ‘begotten’ by the Father from his own being, and therefore having no beginning, or else created out of nothing, and therefore having a beginning. 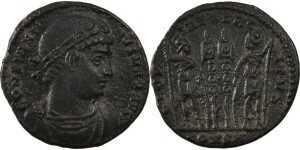 St. Alexander of Alexandria and Athanasius took the first position; the popular presbyter Arius, from whom the term Arianism comes, took the second. 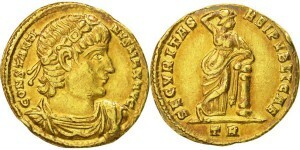 The council decided against the Arians overwhelmingly (of the estimated 250–318 attendees, all but two agreed to sign the creed and these two, along with Arius, were banished to Illyria).